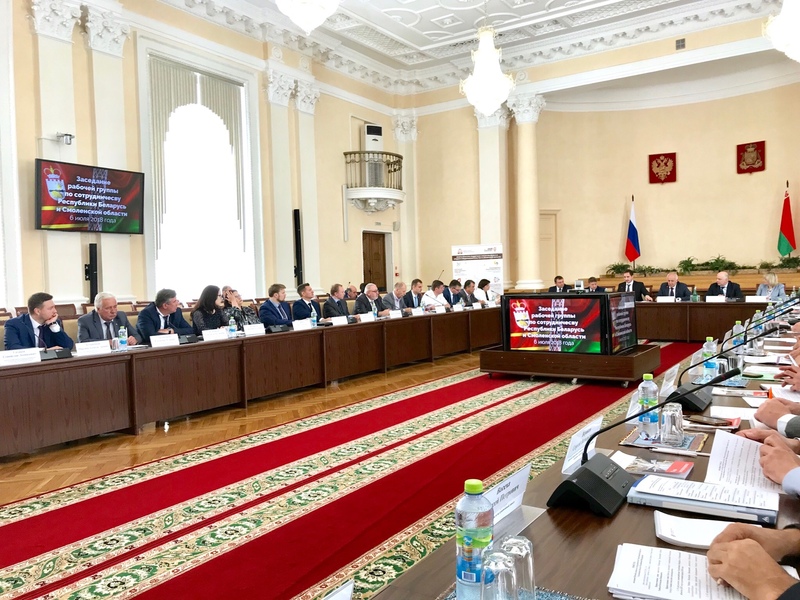 The General Director of the Unitary enterprise "Vitebsk branch of the BelCCI" N. Vorobyeva took part in the meeting of the Working group on cooperation of the Republic of Belarus and Smolensk region of the Russian Federation. The Minister of transport and communications of the Republic of Belarus A. Sivak was the Head of the Working group on the Belarusian side. In the group of the Belarusian delegation also were included representatives of the Ministry of architecture, Ministry of agriculture, National Statistical Committee of the Republic of Belarus, the Belarusian Railways, Belarusian business representatives. During the meeting of the Working group on cooperation of the Republic of Belarus and Smolensk region of Russian Federation, the parties discussed issues related to mutually beneficial cooperation in the field of transport, agriculture, construction and industry. Following the meeting, a Protocol on the implementation of the agreements was signed. At the end of the meeting of the Working group B2B negotiations of Belarusian and Smolensk entrepreneurs were held.